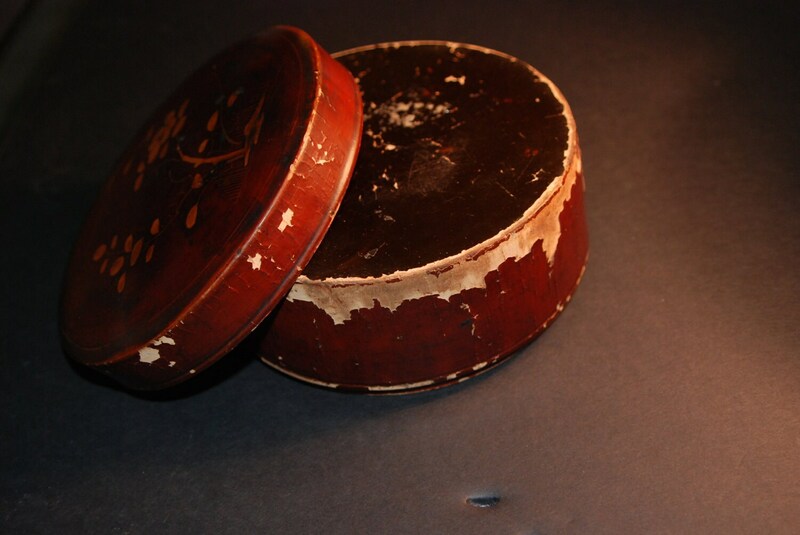 Much like some people, the outer parts of this old Box are worn and distressed with the passing of time, but the inside retains fresh and exciting impulses. 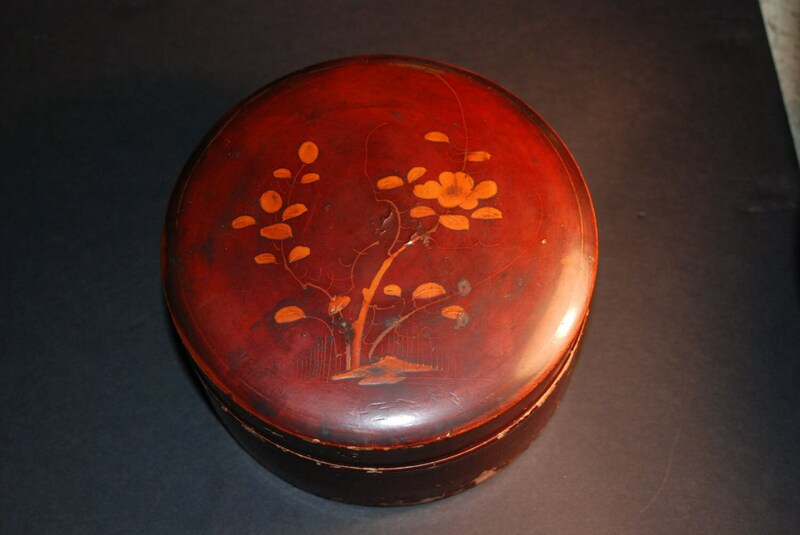 This is a painted papier-mâché box that approximates the size of a tea caddy. 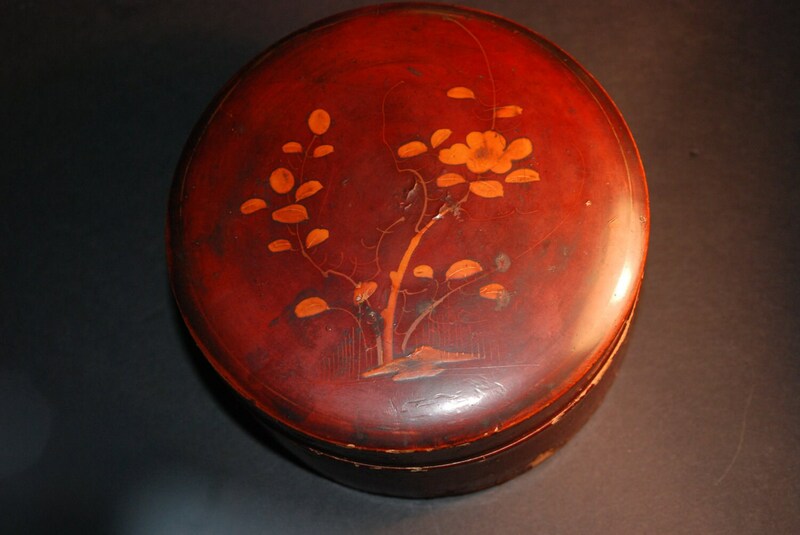 The outer portion is the color of oxblood, but the interior is the classic color of Chinese red lacquer-- a sort of electrified coral or cinnabar. 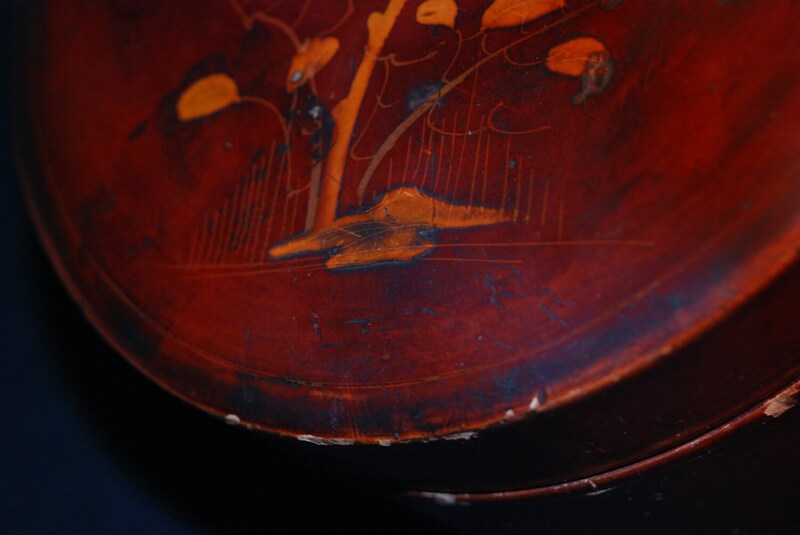 There are traces of gilding in the veins of the leaves of the tree that is painted on the top. A lovely piece whose interior defies the ravages of its years. 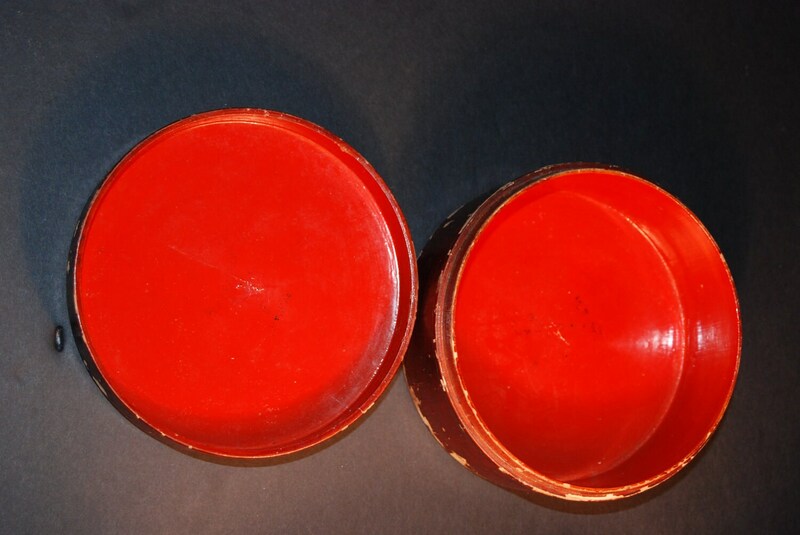 Dimensions: 3" tall and 5 3/*" in diameter. Lid is snug fitting, but not overly so. I suspect this was produced around the 1940's, but it may date as early as the 19th century. From a D.C. estate.